Residents of Southern California want to set themselves apart from their neighbors and Corbin Turner, owner of CCS Cabinets in San Diego, has his business motto, "any size, any shape, any style," for that very reason. 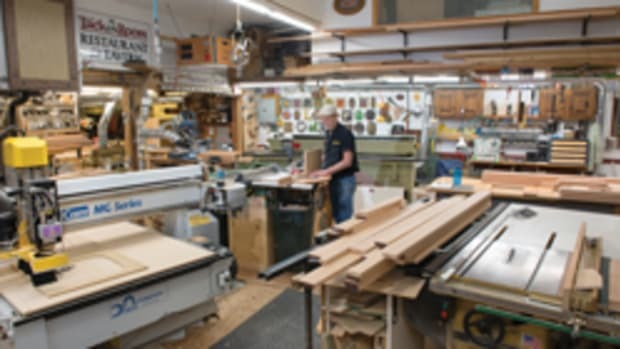 Turner, who established his cabinetry shop in 1987, says that offering a diverse scope of custom work has led to a loyal following of clients who&apos;ve been excellent about creating referrals. And referrals have been his only form of obtaining work, aside from his website, for more than 20 years. 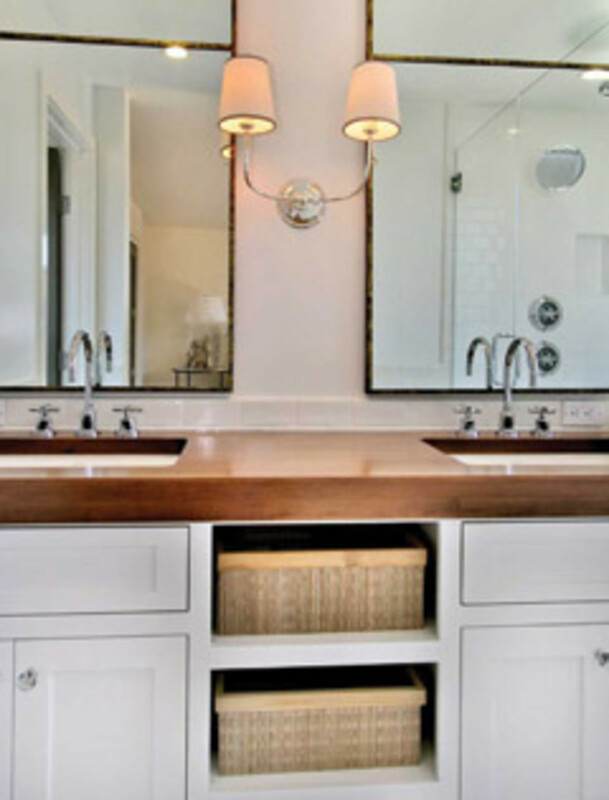 "We do anything from one little bathroom cabinet to a 27,000-sq.-ft. house all the way through. It&apos;s quite a range that we handle. 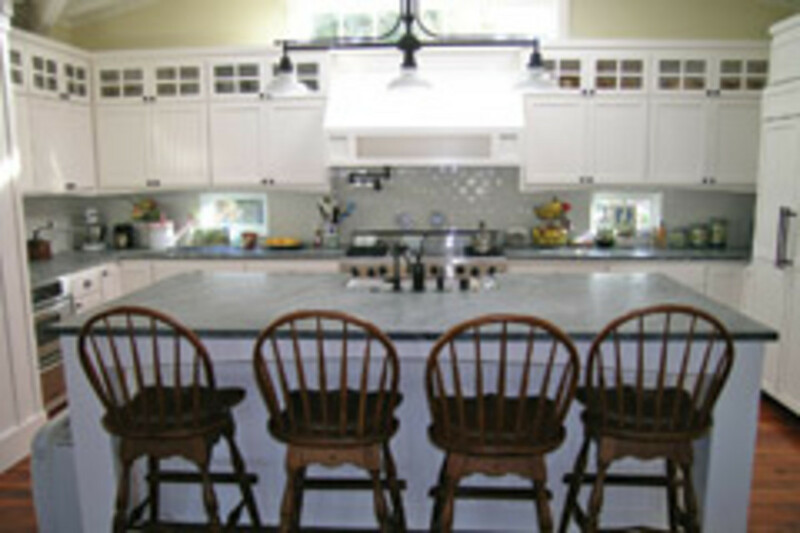 I would say we specialize in custom kitchens and whole home cabinetry - those are really our niche. And one of the things I build on, aside from good products and services, is clients get whatever design and style they want. It doesn&apos;t really matter what it is. Once the client explains what it is they want, we&apos;re going to give it to them," says Turner. 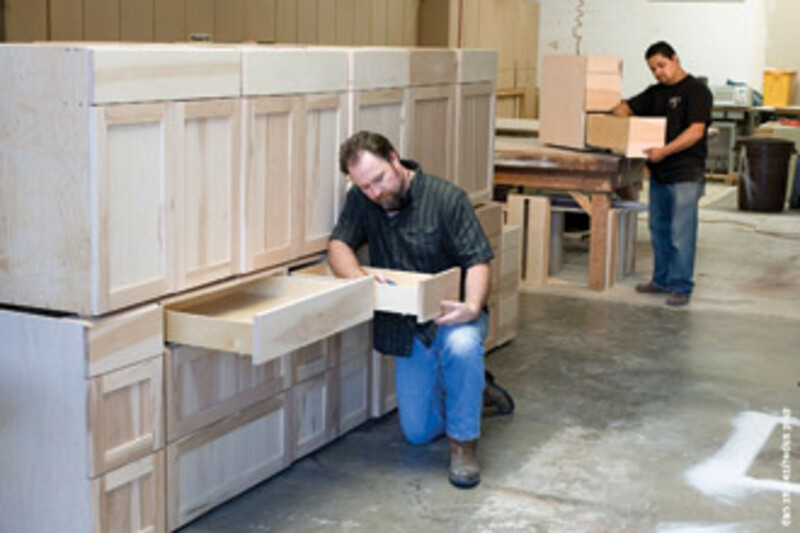 General offerings include design and build services for custom millwork, casework and cabinetry, CNC custom-milled parts and components, as well as cabinetry and wood repair services for residential clients, mostly throughout the coastal communities in San Diego. The company also handles a fair amount of commercial work within the county. With state-of-the-art design software, CNC manufacturing and seasoned craftsmanship, the jobs come together seamlessly and with precision. 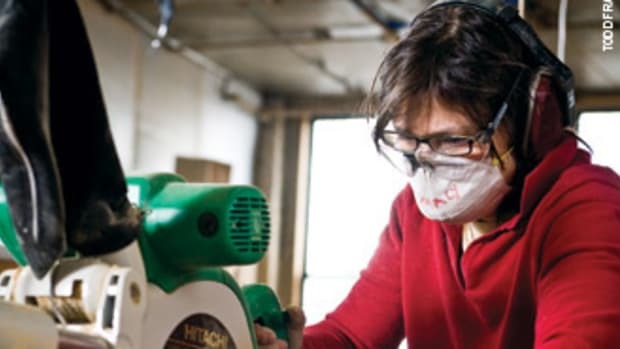 Turner&apos;s business insight is as valuable as his equipment and shop help. He knows the importance of keeping his business volume within his means so the entity can remain manageable. "I&apos;ve really been so fortunate over the years to be so busy, I&apos;ve probably turned away almost as much work as what&apos;s come in, because I really want to give the people what they want with the quality they&apos;ve come to expect from CCS. That kind of service results in clients telling their family and friends about you." Turner was born and raised in Southern California. His father was a successful land developer and Turner had ideas about following in his footsteps. From as early as age 10, he remembers helping his father on construction sites on weekends and during the summers. Right out of high school, he worked for several local construction companies. It was there he really started honing the skills that would later lead to his love and passion for woodworking. 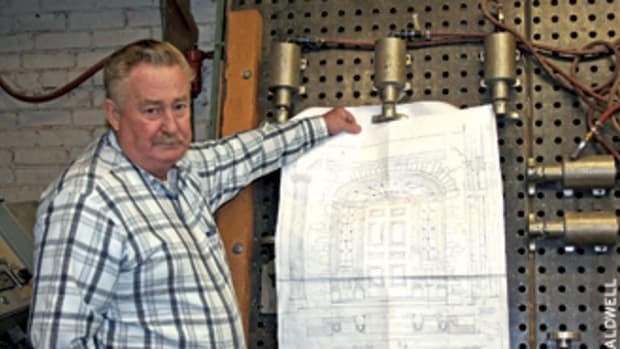 It didn&apos;t take long for Turner to realize his purpose was to run his own business in the fine-woodworking realm and he established CCS in 1987. The initials once stood for Custom Craft Specialties, but the business name is now simply CCS Cabinets. With the help of his first two employees, the business sprouted with residential kitchen cabinetry for the remodeling market. 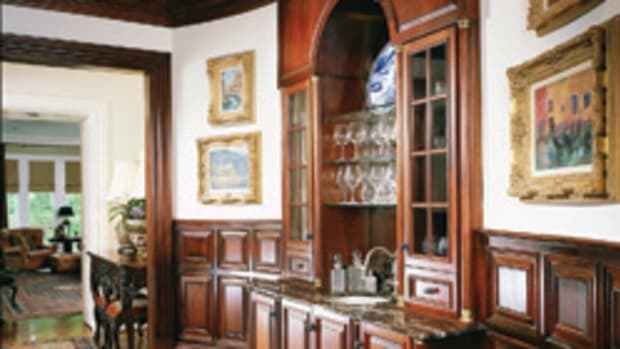 As the business grew, he experienced an increased volume of clients requesting new cabinets, which has remained the scope of the business ever since. His first shop was in the Mission Valley area of San Diego. He moved to a larger shop in the late 1990s and he became part of the distinctive Cedros Design District in Solana Beach. A fire forced the company to relocate in 2008. Tuner&apos;s current shop is in the Sorrento Mesa area of San Diego. After many years of fine-tuning, the company now has the right amount of space and equipment, along with a group of talented employees. Turner says the secret to acquiring clients is striving to present them with good products and service. The natural outcome is new jobs through referrals. "You just give them what they want and a little extra and the phone rings," he says with confidence. "Some want to be more involved than others. Some want to be a part of every detail, while some could care less. Wherever they&apos;re at, we&apos;re a good fit for any situation." The job "strike-zone," as he refers to it, couldn&apos;t be more convenient. "About 90 percent of all our work is within 15 miles of the shop," says Turner. Clients are described as medium- to high-income individuals living along and around the coastal areas of La Jolla, Del Mar, Rancho Santa Fe, Fairbanks Ranch, Solana Beach, Encinitas and Carlsbad. CCS has also shipped cabinets to clients in Hawaii and Japan. "We probably average 12 to 15 kitchens a year along with a handful of complete home packages that often require custom cabinetry throughout. We also produce several smaller projects to fill the gaps in between, such as bath cabinets, TV built-ins, home offices and such." 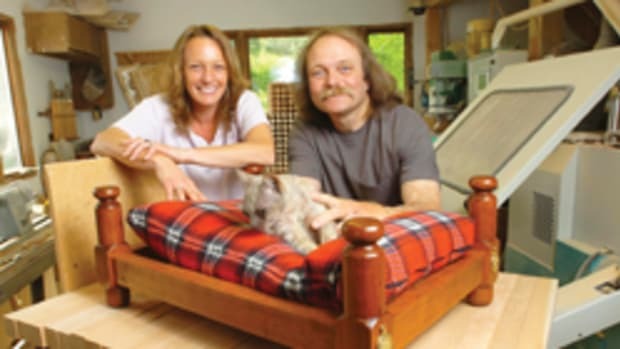 From the start, the customer base has been homeowners and a few select contractors, architects and designers. About two years ago, commercial work started trickling in from doctor&apos;s offices, schools, fire stations and other public facilities. Turner says the weight of the economy contributed to this shift and now the company is more diverse. "The residential end has slowed noticeably due to the decline in the recent economy. As the financial institutions continue to stabilize and begin making general funds and loans available, homeowners will began to move forward on their remodels and new homes again," says Turner. "Many local contractors and trades of all types have been very slow. Several I know have simply just tossed in the towel while many of us are just working through and pressing on for brighter days." Style preferences run the gamut from traditional to contemporary. 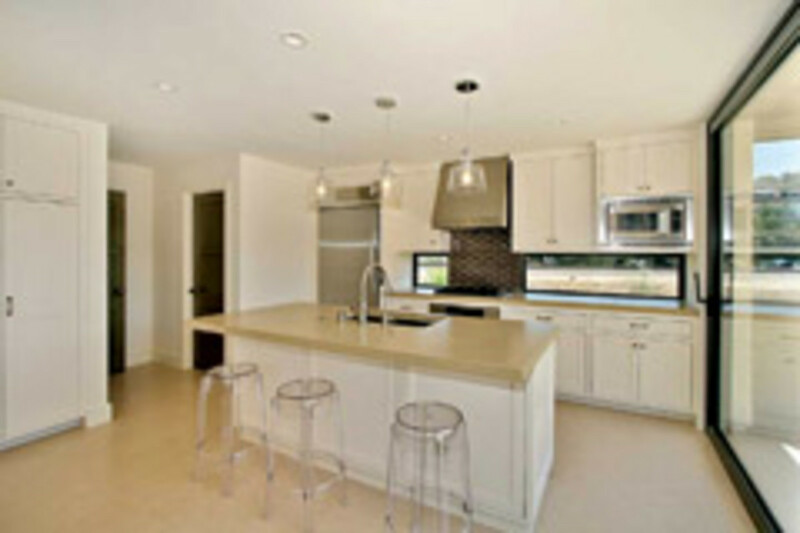 However, Turner says the trend is leaning toward the modern look, which includes more frameless cabinetry. "In our world, we do such a variety of things, it&apos;s hard to capture any solid trends - the trend is everyone is different. Out of two clients, one could just hate what we&apos;re doing for the other one and vice versa. So you&apos;ve really got to define their sense of style and zero in on exactly what their needs and wants are individually. "The Tuscan and Hacienda themes were quite popular until about a year or two ago, but are now tapering off into the more modern look with cleaner lines and less trim and applied moldings. Having said that, the classic Shaker/Craftsman style seems to always remain timeless. One style is not necessarily less expensive than the other. 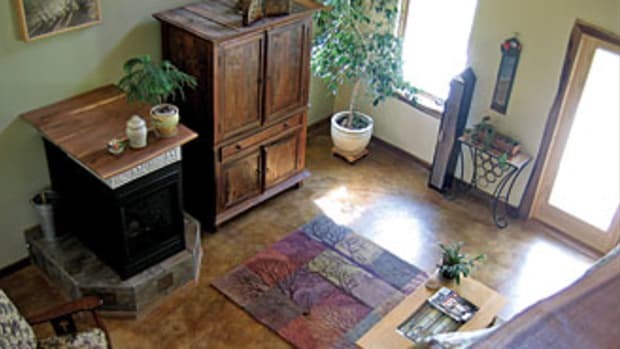 It all comes down to quality, materials and hardware specified." Turner recalls the compliments on his work from one particular client and will never forget the words spoken that day.
" &apos;Nowadays everybody has time to do things twice, but nobody has time to do things right the first time.&apos; These are the principals I continue to build my company on one job at a time." Being so close to Hollywood, Turner has done work for a handful of celebrities from the beginning. He declines to mention their names, saying that mentioning them has never helped boost business and he doesn&apos;t want to give preferential treatment. The list includes several professional athletes and television actors. If anything&apos;s particularly challenging to Turner, it&apos;s competition with the larger residential and commercial companies. He says many are large enough to absorb their own losses, so they get work at low prices to keep the doors open. He says this tactic is a threat to his work, but he knows the practice can&apos;t continue forever. "We have been a [National Kitchen and Bath Association] member since 1997 and we&apos;ve had more than a dozen projects featured in local and national magazines over the last 23 years. This certainly never hurts business and we&apos;re always grateful for the chance to reach new clients." The current shop is 4,600 sq. ft., located in a semi-industrial area with little traffic, about a 10-minute drive from Turner&apos;s home in Carmel Valley. "Living and working in San Diego is the best. The climate is warm and the skies are blue mostly year-round. The people are great to work with and I&apos;ve found it to be an amazing place to live and raise my family well." The shop features a Biesse Rover B 4.35 FT CNC machining center, Masterwood Speedy 315 point-to-point CNC machine, SCM Sigma 90 beam saw, Brandt Optimat KD 66 edgebander and Robland E300 sliding panel saw. Software includes Cabinet Vision&apos;s Solid Ultimate and Alphacam&apos;s CAD/CAM programs. 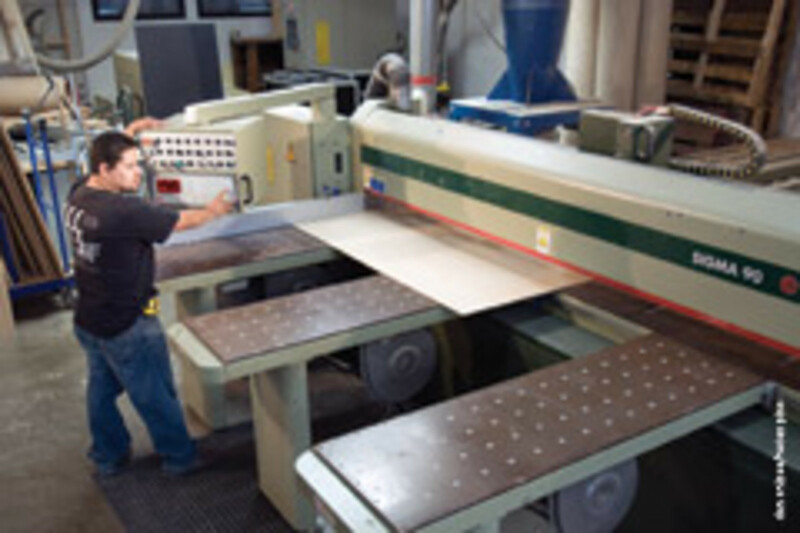 The integration of CNC technology has had a significant impact on Turner&apos;s business. 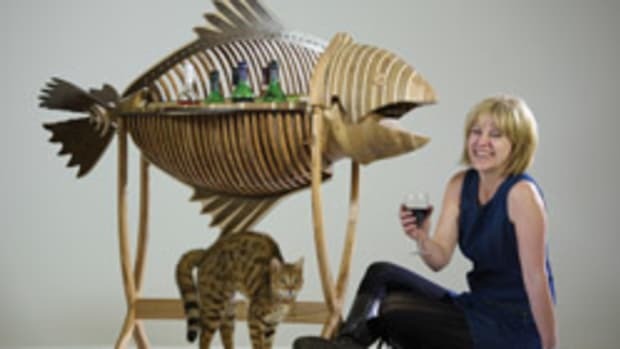 "We advanced into the CNC back in 2004 and it&apos;s definitely been a major asset. Combining the software technology with the CNC equipment has really helped streamline the whole operation and we&apos;re able to produce a lot more. Things are more efficient and parts are produced with more precision. 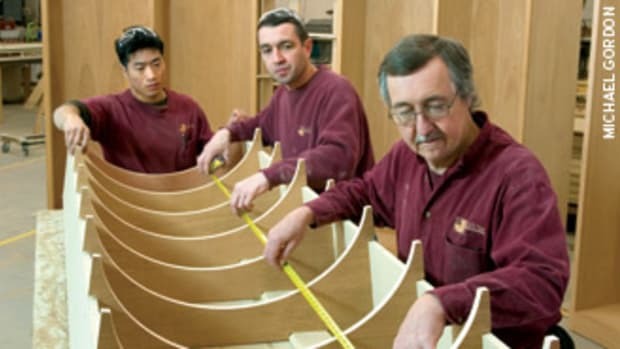 On occasion we will even cut, manufacture and supply parts to other local cabinetmakers. This additional service is very cost-effective and they&apos;re often amazed at how perfect their parts come out." Turner&apos;s daily role is overseeing the design and shop functions as well as sales, field measuring, estimating and purchasing. The company&apos;s backlog has dropped during the last couple of years. Instead of being booked for six months to a year-and-a-half, it currently averages about three to four months of work. Installation is handled in-house, though finishing, for the most part, is not. 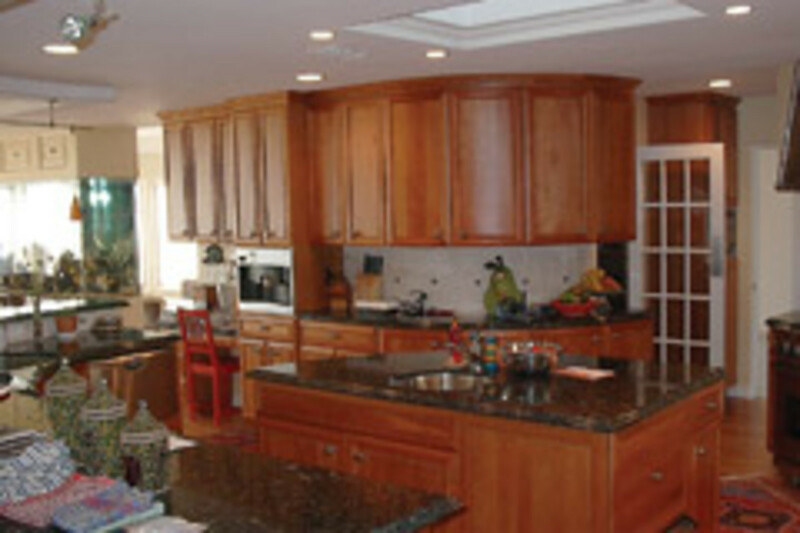 "We work very closely with a couple of finishing companies here in San Diego. They handle all of the finish and most of our completed work is finished on sight. We have had great success doing it this way, especially on the larger residential projects," says Turner. Suppliers include Blum, E.B. Bradley Co., Rugby Building Products and Frost Hardwood Lumber Co.
"One of the manufactures we also like to use is Tree Frog Veneer," adds Turner. "They stock some amazing materials that are becoming very popular in all marketplaces. 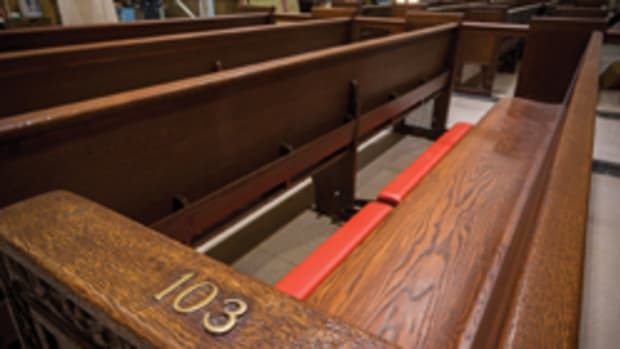 They are not cheap, but the overall cost of a project may equal out by eliminating the cost of additional finishing." CCS consistently grosses about $1 million per year and the volume of work suits Turner. "I don&apos;t want the business to grow too large," he says. "I want to try to keep it small and simple. In fact, when it&apos;s really busy at certain times of the year, it&apos;s kind of a struggle to keep it small. We really feel the need to hire people to take on all of the work that&apos;s being offered, but we don&apos;t.
"I&apos;m kind of busting at the seams. I wouldn&apos;t want this company to be any larger. I wouldn&apos;t want a 20,000-sq.-ft. building with 30-plus employees because I just don&apos;t have the desire for it. When things are good and busy and you&apos;re fighting to keep it small, that&apos;s a good thing. That&apos;s when you know you&apos;re doing well." Turner emphasizes the importance of business owners like himself to keep their scope narrow and remain focused. "Find your medium and keep it there, otherwise your liabilities grow along with all of your debts and, when the valleys hit, you&apos;ve got to start laying people off, you&apos;ve got a huge overhead to manage. At the end of the day, if you&apos;re grossing $1 million or $10 million, it doesn&apos;t mean at all that there&apos;s more profit at the end of the year. The numbers are irrelevant. As a business owner, you may find you&apos;re making the same either way." 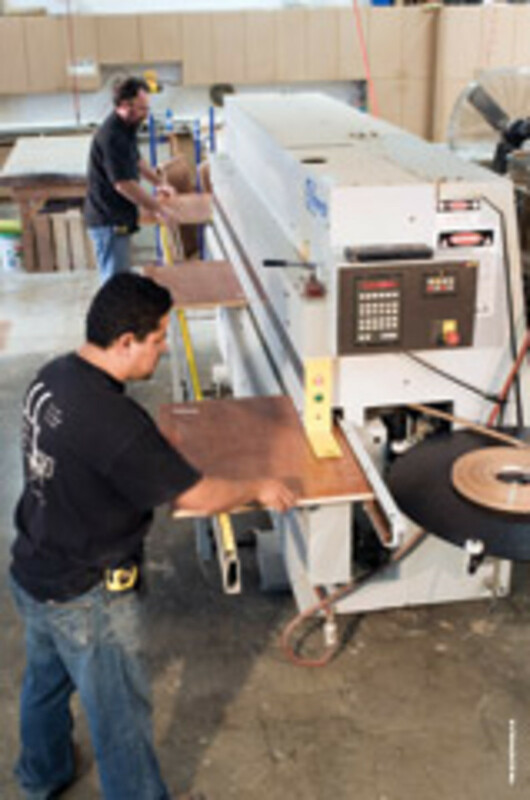 Contact: CCS Cabinets, 7360 Trade St., San Diego, CA 92121. Tel: 858-536-9095. www.ccscabinets.com. Whats it mean to be green? Whats happening across the pond?